The US government has formally accused Russia of hacking the Democratic party’s computer networks and said that Moscow was attempting to “interfere” with the US presidential election. Hillary Clinton and US officials have blamed Russian hackers for stealing more than 19,000 emails from Democratic party officials, but Friday’s announcement marked the first time that the Obama administration has pointed the finger at Moscow. “We believe, based on the scope and sensitivity of these efforts, that only Russia’s senior-most officials could have authorized these activities,” said the office of the director of national intelligence and the Department of Homeland Security (DHS) in a joint statement. The accusation marked a new escalation of tensions with Russia and came shortly after the US secretary of state, John Kerry, called for Russia to be investigated for war crimes in Syria. “Every day Putin’s website gets attacked by several tens of thousand of hackers. A lot of these attacks are traced to the territory of the USA, but we do not blame the White House or Langley each time,” he told the Interfax news agency. The White House declined to say whether the formal attribution would trigger sanctions against Russia. The US agencies said that some US states had detected attempts to breach their election systems, and that most of those attempts originated from servers operated by a Russian company. “However, we are not now in a position to attribute this activity to the Russian Government,” the statement said. 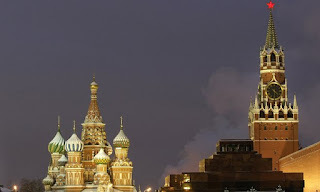 The agencies said that the “decentralized nature” of the US voting systems, as well the lack of connectivity between voting machines themselves, would protect against Russian-sponsored electoral tampering. But they urged states across the country to seek additional cybersecurity aid from the DHS. On Wednesday, the homeland security secretary, Jeh Johnson, said that 21 of the 50 states in the US had sought to improve cybersecurity at the voting booth thus far. Analysis Cozy Bear and Fancy Bear: did Russians hack Democratic party and if so, why? Analysts and the US government suspect an official hand behind the breach of the DNC’s emails – but if so it would represent a major escalation of cyber-activity. US intelligence and the Obama administration had concluded over the summer that sophisticated Russian hackers were responsible for hacking the servers of the Democratic National Committee (DNC) and leaking emails that embarrassed senior Democratic officeholders. But for months, White House and other US officials have stopped short of publicly accusing Putin’s government, a rhetorical reluctance that Republicans have criticized and which has intensified a debate about how to deter digital attacks. On Friday, both agencies went further than many expected, calling out not only the Russian government but implying the transparency group WikiLeaks and others involved in spreading the Democrats’ emails were Kremlin cutouts. 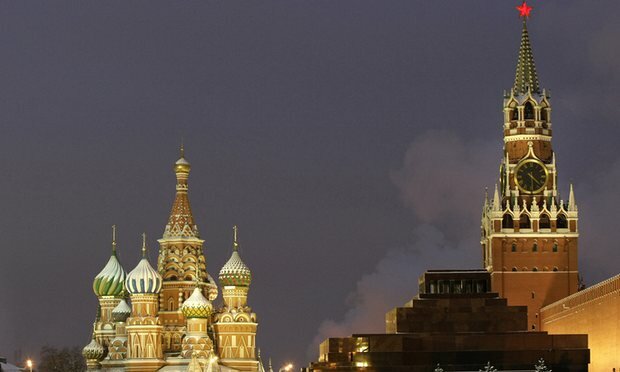 The hack of the DNC’s computer systems was initially claimed by Guccifer 2.0, who claimed to be an independent Romanian hacker, but who security analysts have concluded was more likely to be the public persona of a Russian hacking group. “The recent disclosures of alleged hacked e-mails on sites likeDCLeaks.com and WikiLeaks and by the Guccifer 2.0 online persona are consistent with the methods and motivations of Russian-directed efforts,” the statement said. Over the past four months, websites including media outlets and WikiLeaks have widely distributed information stolen not just from the campaigns of US Democrats but of the World Anti-Doping Agency (Wada) and of the ruling party of the Turkish government. The Wada hack was perceived to have been launched in revenge against whistleblowing athletes who revealed corruption among Russian anti-doping officials. An internal investigation by Wada itself this week found that the leaked information had been partially falsified before it was distributed. Security firms believe a single operation is behind the attacks into the closed digital systems. The hacking group has been assigned different shorthand names by different analysts – including the flamboyant moniker Fancy Bear – as well as Advanced Persistent Threat (APT) 28 and the Sofacy group. Fancy Bear is believed to be operating under the aegis of the GRU, Russia’s largest intelligence service. A second group, codenamed Cozy Bear or CozyDuke, appears to have broken into the DNC as well, but has not yet distributed whatever information it may have retrieved. Cozy Bear is believed to be affiliated to the FSB, the Russian intelligence agency most directly descended from the KGB. Democratic lawmakers had long pushed the administration to lay the blame for the digital intrusion on the Kremlin’s doorstep. “I applaud the administration’s decision to publicly name Russia as the source of hacks into US political institutions. We should now work with our European allies who have been the victim of similar and even more malicious cyber interference by Russia to develop a concerted response that protects our institutions and deters further meddling,” said congressman Adam Schiff, the senior Democrat on the US House intelligence committee.